An island for those who need a little more going on. As well as good beaches and snorkeling it has a sports centre and a number of restaurants to choose from. 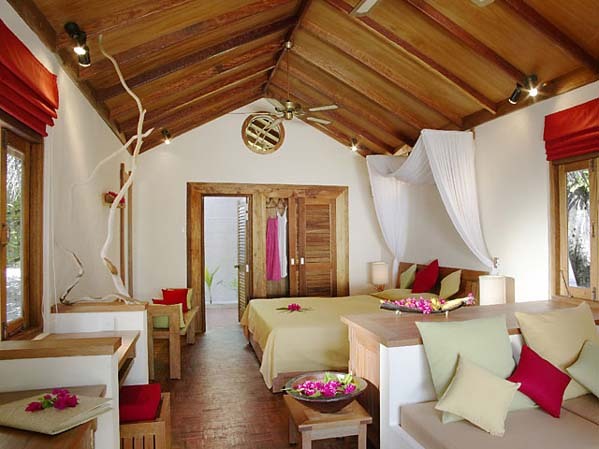 The accommodation is similar in style to the neighbouring up-market resort of Soneva Fushi, a simple, rustic feel with lots of natural colours. The price tag however is much more affordable. 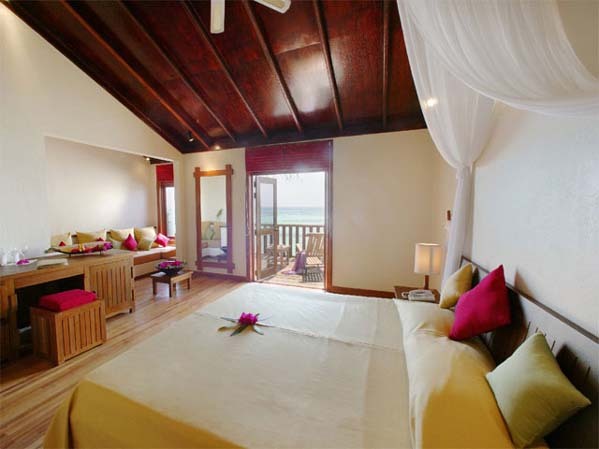 The Deluxe Villas offer a sitting area that can provide an additional sleeping area for 2 children, making Reethi Beach an ideal choice for families. In Baa Atoll, north west of Male International airport. 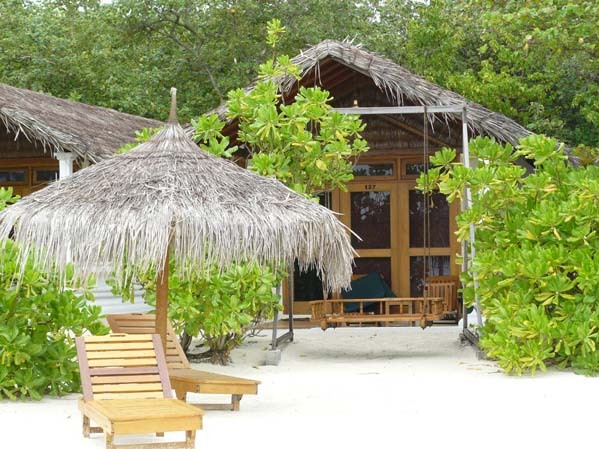 Reethi Beach is on the lush Fonimagoodhoo Island, surrounded by a beautiful lagoon and white, sandy beach. 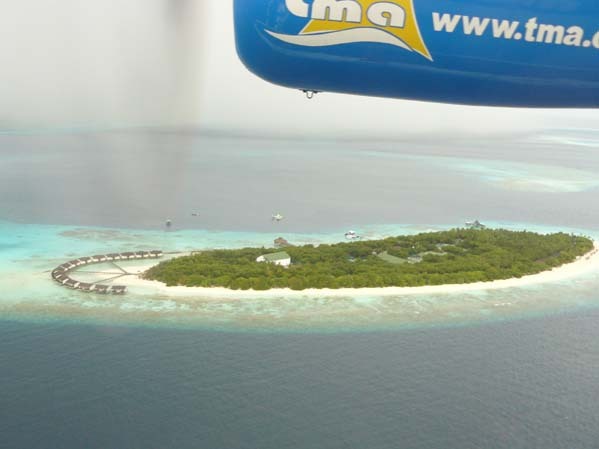 The island is just 600 m x 200 m and is reached by a scenic 35 minutes (124 km) seaplane flight. The wonderful house reef is some 50 to 150 metres from the island. 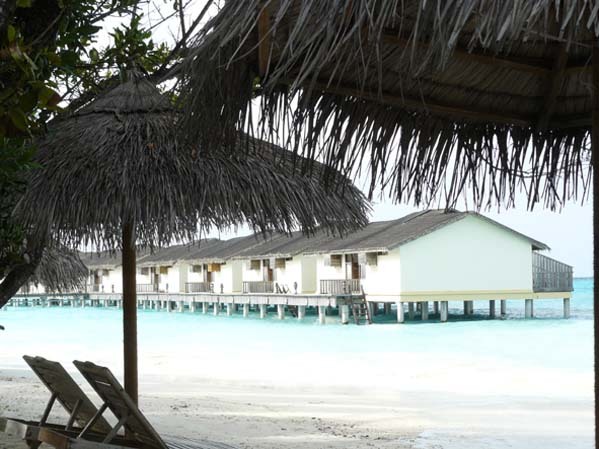 There are 110 rooms in total, including 30 water villas. 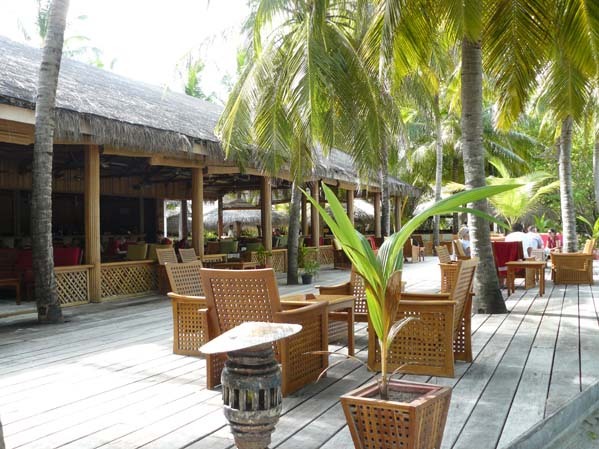 With a choice of 5 restaurants and an indoor sports complex, Reethi Beach will appeal to those who prefer a little more going on. However, the island still retains a natural Maldivian feel, complemented by the chic, rustic style of the accommodation which is very similar in feel to its upmarket neighbour, Soneva Fushi. Having undergone refurbishment in 2010, rooms are in particularly good condition. 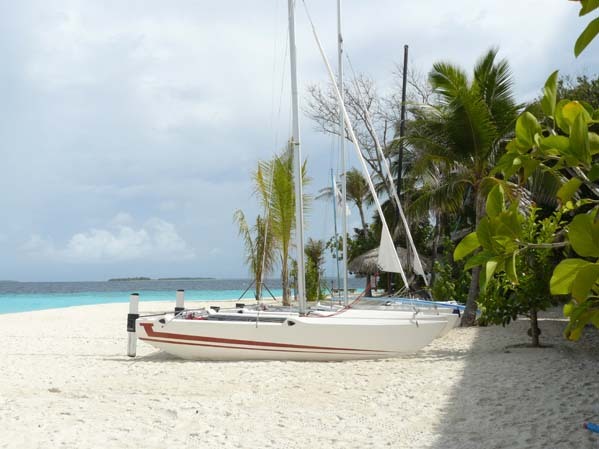 The All Inclusive option at Reethi Beach offers particularly good value compared to other Maldives resorts. 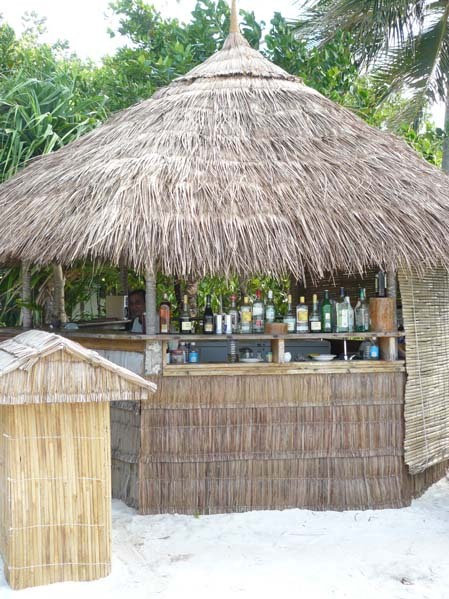 There is an excellent beach all the way down the west side of the island, where the Reethi Villas are, and an even wider bulge of fine sand at the southern end, where the Deluxe Villas are. At the other end is a smaller bulge behind the semicircle of water bungalows. 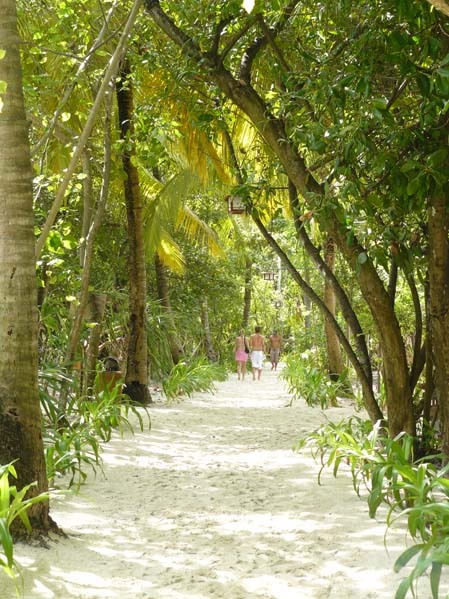 Reethi Beach is one of the most environmentally friendly islands in the Maldives. The interior of the island is left as undisturbed as possible, no groynes or walls have been built and there is no pumping of sand to supplement the beach. It is claimed that island energy consumption per client is a quarter of the industry average. All rooms have one king size (2m x 2m) or twin beds, air-conditioning, ceiling fan, IDD telephone, mini bar, safe, satellite TV, hair dryer, hot and cold water. All villas are serviced twice daily and bath towels, hand towels, beach towels, shampoo, shower gel, soap and body lotion are provided. 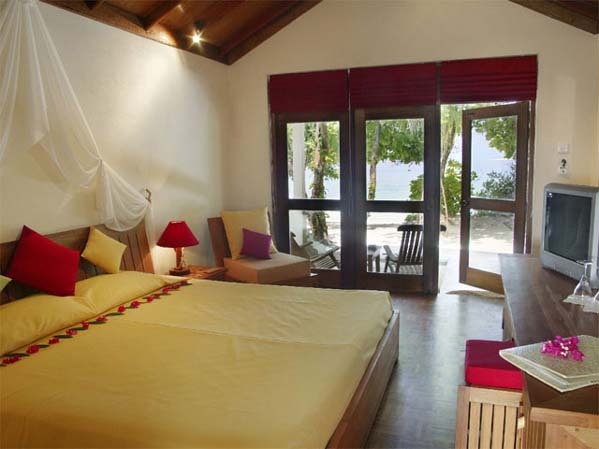 Detached beach front villas, tea and coffee making facilities, part open-air bathroom with bath tub and open-air shower, bathrobes, larger sitting area, terrace with deck chairs, Maldivian swing, sun loungers (with mattress) on the beach. The sitting area can be used as an additional sleeping area, ideal for families. House reef: is on a channel along the western side of the island and is easily accessible from the beach with a number of cut throughs for entry and exit. It harbours a wealth of marine life and will satisfy snorkelers of most levels. During the northeast monsoon (May – September) it is not uncommon to see Whale Sharks and Mantas. Diving: The dive centre managed by Sea-Explorer is a PADI 5 Star School offering educational, recreational and nitrox diving with courses for beginners and advanced divers. There is the option of diving at the house reef in addition to the many different boat dives – early morning dives, morning dives, two tank dives, afternoon dives, night dives, plus snorkelling trips. Spoken languages: English, German, French and Japanese. Some of the best diving in the Maldives is to be found here in the relatively unexplored Baa Atoll. The majority of dive sites are reached within 20 minutes by boat – the furthest being just under an hour. Over a third of the diving is on Thilas (submerged reefs), some of which are split by canyons and even by Maldivian standards, are literally teeming with fish and under the overhangs, sea fans and black corals are found. 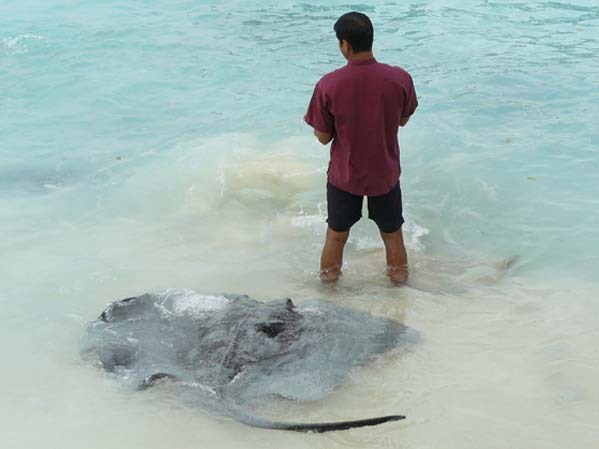 It is not uncommon to see Sharks, Barracudas, large Groupers, Napoleon Wrasse and Mantas (in season); The Outer Reefs of the north-eastern Baa Atoll slope gently down into the blue and one often comes across large Turtles and Eagle Rays, incredibly rare pink fire coral, fantastic soft corals and much larger fish in the blue. Two of the more popular sites include ” Donfan Thila” with its unique underwater landscape and its massive amount of marine life. The ‘Blue Hole’ is as the name suggests is a blue hole with an entrance at 23 metres and exit at 8 metres level. 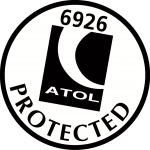 2 outdoor floodlit artificial grass tennis courts, 2 indoor badminton courts, 1 squash court, gymnasium, 2 table tennis tables. Small fresh water swimming pool (chlorine free – ozonized) next to the sports complex (deck-chairs with mattress + free towels). 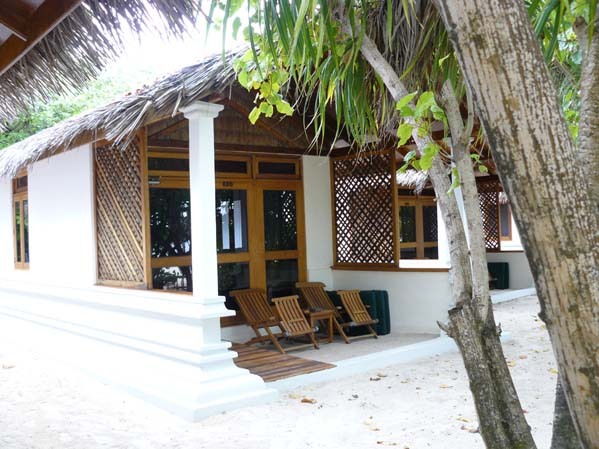 Spa: Coconut Spa at Reethi Beach located beach front has 2 air conditioned ‘couples’ rooms with bath tub and 3 air conditioned ‘singles’ rooms. There is also 1 free standing /detached massage room as well as a steam room and a Jacuzzi located next to the relaxation area of the spa. There is a Manicure / Pedicure and hair treatment room on the ground floor. The reception also includes the Spa boutique, waiting area and changing rooms. Clinic: There is a clinic on the island permanently manned by a resident doctor, handling minor injuries. Business Centre: located at the reception offers fax, telephone, e-mail and internet facilities.